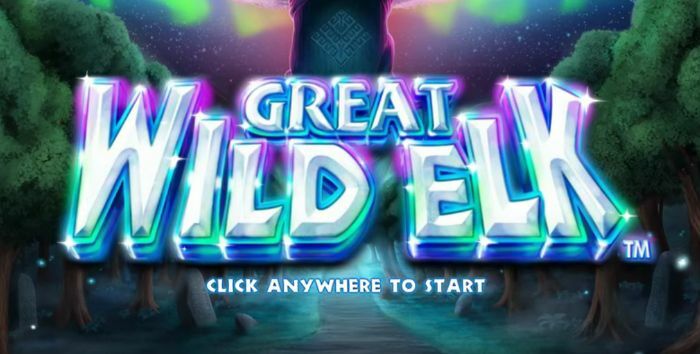 Set in a magical forest locale inspired by Norse mythology, The Great Wild Elk combines stunning visuals, dream-like ambiance and feature-rich game play to create an engaging slot gaming experience. The Australian game developer NextGen Gaming may be best known for its sillier games like Foxin Wins or Pandamania, but it’s latest game The Great White Elk is something else. It’s an almost dream-like experience with beautiful, glowing graphics and smooth game play. With its 10 pay lines and 5 reels, The Great Wild Elk may seem like one of the simpler slot games of Pokies.com. What you see is not always what you get, as the game doesn’t has a surprise or two even for seasoned slot gaming veterans. The reels of The Great White Elk can randomly transform to hand out surprise wins, you win 10 free spins each time when The Great Wild Elk appears in a win. To make things even more special, the Wild Elk symbol will occupy reel 3 for the duration of the free spins making sure these spins are going to something real special. According to its developer NextGen Gaming, the new game is an especially good fit for Scandinavian players. I don’t know how or why, maybe they just like elks up there? Check out the game below to see if it fits your slot tastes, Scandinavian or otherwise. The Great Wild Elk is a mobile-ready game. You can of course play it on your computer, but any modern phone (iPhone, Android, Windows) or tablet (iPad, Android, Windows) will provide an equally fun gaming experience. Remember that whenever you login at Pokies.com, we automatically show only the games compatible with the device you are on – you can always concentrate on playing, not on wondering if some game works or not. If you are already a Pokies.com member, simply login to see what new bonuses await you and to play The Great White Elk. If you are a new player, you’ll get $/€/£3 FREE when you sign up. You are free to use your free money to play slots or any other games as you like!